I was born a Trezise – a name uncommon enough for people to ask “Are you related to…” (variously a footballer, a politician and even, once, a lion-tamer) but common enough for the answer generally to be no. But it turns out I am related to at least a few publicans, all of them long gone. And the Trezise name seems to have cropped up regularly in the history of Victoria’s licensed premises. According to Wikipedia, there are hamlets called Trezise and Tresayes in West Cornwall, names derived from the pre-12th-century Cornish Tre-saws, meaning the place of the Saxons, a reference to English settlers. It appears one of the earliest documented occurrences of the name is that of Margery Tresise, who was baptized on 1 October 1632 in the village of St. Erth in Cornwall. Is it just a happy co-incidence that my middle name is Margery, and that the (today unconventional) spelling is the same? My great-great-grandfather Thomas Trezise arrived in Australia lured, like many of his compatriots, by gold. Thomas’s parents intended him to be a clergyman, but his life took a very different path. Arriving in Ballarat in 1851, it seems he shared a claim with Peter Lawlor, but did not participate in Lawlor’s Eureka Stockade rebellion. Moving on to Reedy Creek, near Broadford, he became a manager of the lucrative Langridge claim which yielded up to 6000 ounces of gold from a single crushing. The population of Reedy Creek expanded as miners arrived to work, first the alluvial gold, then the deep shafts of the Langridge and the nearby Doyles and Crown claims. And miners have a thirst. It was time to get into the pub business. 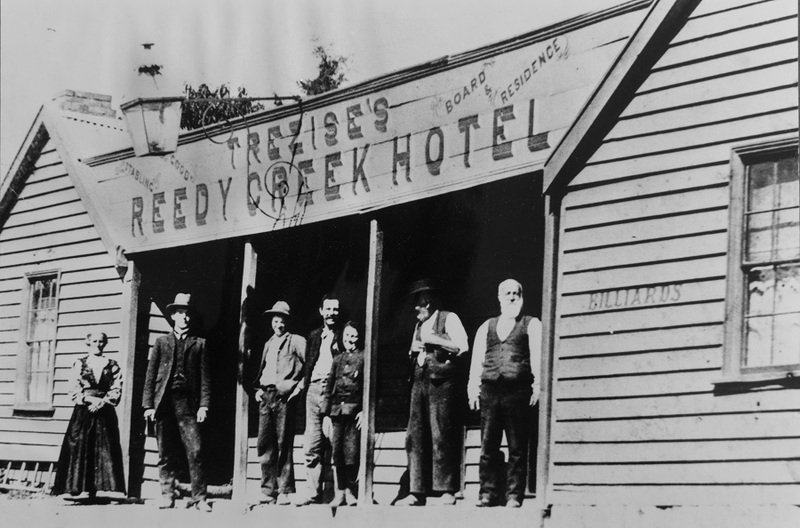 By 1880, Thomas Trezise was proprietor of the Reedy Creek Hotel. At its peak Reedy Creek was a thriving town with churches, schools, a post office (where it seemed a Miss S. Trezise presided as postmistress for some years up to 1902) and five pubs – among them the Traveller’s Rest, the Commercial and McManus’s. 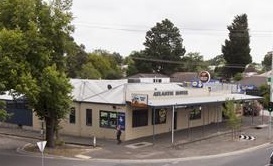 The Trezise hotel was the favoured meeting place for local businessmen and the Reedy Creek football team, although it seemed the cricket club (of which Thomas was a Vice-President) preferred to meet at McManus’s. In nearby Broadford my great-grandmother was also growing up in a hotel, managed by her mother, Esther Bidstrup. Esther held the licence of the Broadford Hotel at least from 1874, transferring it to her son Peter in 1886. The two families clearly shared more than their trade: Peter married one of the Trezise daughters, while my great-grandmother Catherine Bidstrup married one of the Trezise sons. At the time, Reedy Creek was bigger than Broadford, but it was not to last. 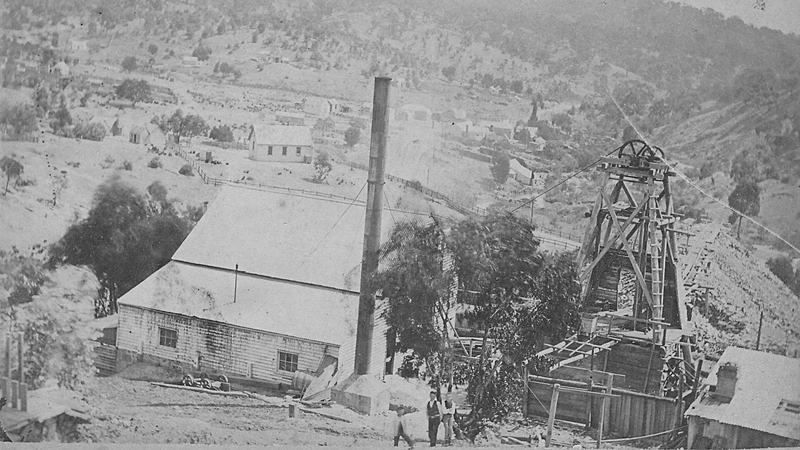 Despite something of a boom in the 1880s, when six crushing batteries were busy in the district, by 1990 mining operations around Reedy Creek had been all but abandoned. One by one, the pubs closed. By 1903 only Trezise’s and one other remained. 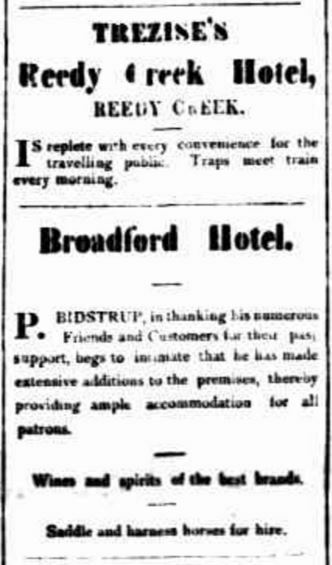 Thomas ran the hotel until around 1910 before moving to Broadford, where he died in 1914 at the age of 85. The Reedy Creek hotel remained in the family, apparently run by Thomas’s second son Martin Edwards Trezise (known as Ted) until 1921, when the license was surrendered, leaving the town without a licensed hotel. Thomas and his family weren’t the only Trezises to become a publicans in Victoria. James Trezise was the licensee of the Atlantic Hotel in Ballarat from 1913 to 1917. And Francis Trezise, born in Clare in South Australia, owned hotels in Warrandyte, from 1884 until his death in 1920. Neither of these gentlemen appear to be directly related to me, but in each case their forebears came from the same part of Cornwall as our Thomas. In fact, James’s ancestry can be traced to the same town: St Just, the most westerly town of Cornwall. So it’s likely we’d find a connection if we traced the family line back far enough. It seems the St Just Trezises had something of a reputation as stalwarts of the Methodist church. Perhaps that’s why, despite being a publican, James was known (at least to the local minister) as a teetotaller. The Reverend George Tregear, who praised the clean-living publican at his funeral was, perhaps, unaware of James’s conviction for trading out of hours and having allowed “an unlawful game” to be played on his premises. The game of nap (a little like euchre or 500) sounds fairly benign, but the police raid caused considerable consternation. The incident made the Melbourne papers. “When the police searched the place they found one man hiding in a wardrobe and two under a bed”, The Argus reported. In Warrandyte, Francis, too, had a run-in with the licensing laws. In 1918, following “complaints received” two police constables staged an undercover operation at his Grand Hotel. Securing accommodation for the night, they observed liquor being sold at 11.25 on Saturday night and reported that the bar door was open on Sunday. It seemed the out-of-hours trading charge stemmed from not inquiring too closely into guests’ claims to be bona fide travellers. Licensing laws at the time required that, to partake of liquor after 6pm, guests needed to have travelled 20 miles from their homes or from where they slept the previous night. To Francis, who pleaded guilty, the conviction must have been particularly galling. 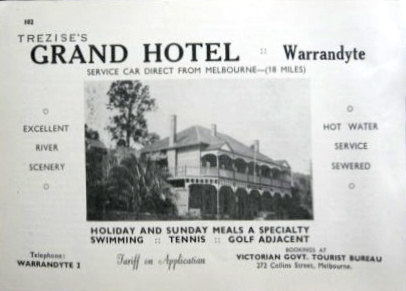 He had been an upright citizen of Warrandyte for 34 years, had previously run the Warrandyte Hotel and had been licensee of the Grand since 1908 without any stain on his record. Francis served on the local council and on the board of the local cricket club, which the hotel sponsored. He even had a street named after him (as did the Bidstrups in Broadford). 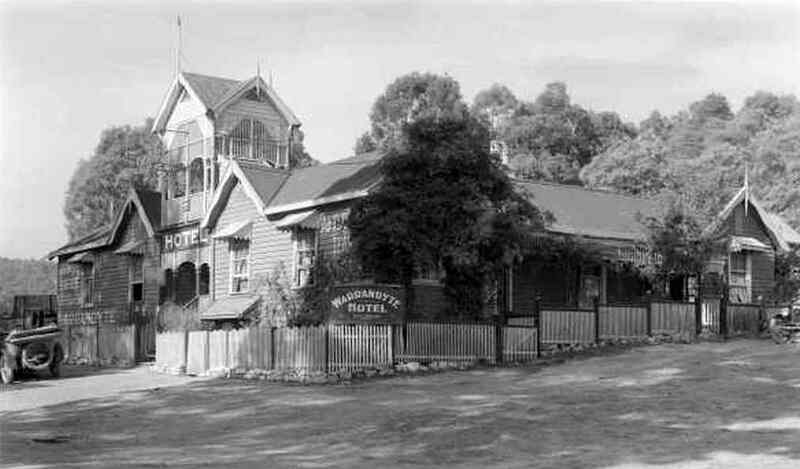 Warrandyte Hotel, Warrandyte, 1920. Formerly owned by Francis Trezise. Francis’s life had its ups and downs though: he divorced his first wife on the grounds of three years drunkenness and neglect of her household duties. Being a publican’s wife clearly put too much temptation her way. After Francis’s death, his daughters continued to run The Grand until the early 1960s. One of his sons, Arthur, was behind yet another Trezise hotel, in Portarlington on the western side of Port Phillip Bay. 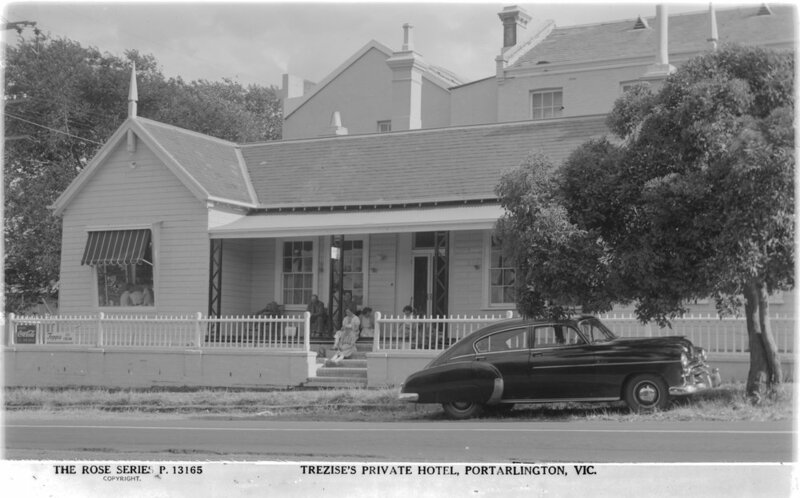 Trezise’s Family Hotel, originally the Seaview Hotel, had many incarnations over the years including Miller’s, the Duke of Edinburgh and Calhoun’s. It was de-licensed in 1940, then variously used as a hospital, police station, clothing factory and pizza shop. Most recently the building was revived as the Ol’ Duke restaurant and accommodation but is now, Google tells us, closed permanently. Is it a coincidence that so many Trezises seem to have run hotels? Was Trezise hotel ownership a protest against the Methodist tradition of their native Cornwall? Or is it simply another instance of the name being unusual enough to try to draw a connection (after all, there have probably been many more publicans called Smith)? Sadly, although the Grand and the Broadford hotels still stand, there’s not a Trezise (or a Bidstrup) in sight and the other eponymous establishments have disappeared. I guess my chances of a free drink are…well…zero.